To describe with words an experience as intensive as the Kitzsteinhorn is for soul, mind and body alike is difficult. Those who know already try to come back for the world – in winter and summer. For those who don’t know yet this tour will give a first impression. To describe with words an experience as intensive as the Kitzsteinhorn is for soul, mind and body alike is difficult. Those who know already try to come back for the world – in winter and summer. For those who don’t know yet we will try to give an impression. 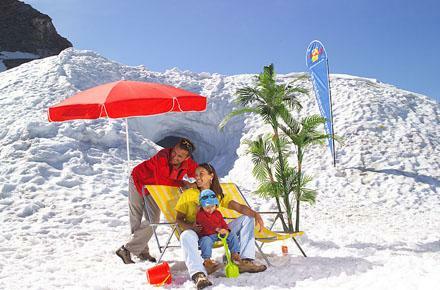 Kitzsteinhorn is the first glacier ski region in Austria and guarantees “winter” enjoyment at any time of the year. At over 3000m plus (9.800 ft), surrounded by the peaks of the Alps and the dazzling whiteness of the snow reflecting the sun in a bright blue sky you will indeed feel like being very close to Heaven. 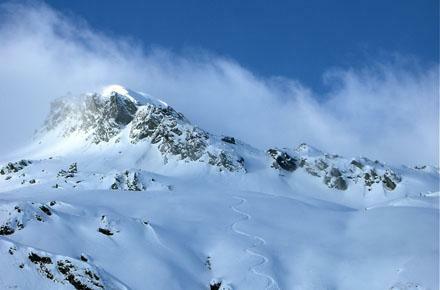 The pistes are constantly covered with a lot of natural snow and even in August it is possible to enjoy powder snow. 20 state-of-the-art cable cars and lifts will take you up to 3029m (9.937.5 ft). The varied slopes will provide you any enjoyment or challenge: Swinging over crystal clear snow or skiing in schuss – everything is possible for beginners as well as for adepts. 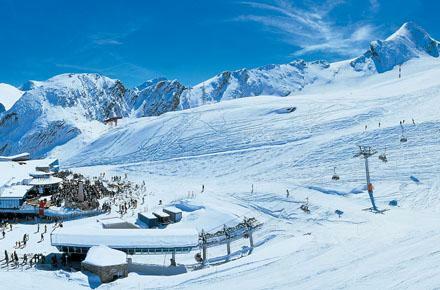 The snow parks will satisfy any snowboarders and freeskiers desires. 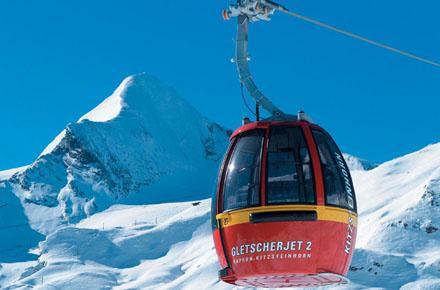 In high summer Kitzsteinhorn is an overall skiing experience combining the best of two seasons: A bright blue sky, green valleys and the lake Zeller See below. It is like the setting of an inspiring movie.